A Reflection from the first-annual Read Between the WINEs Summer Book Club! 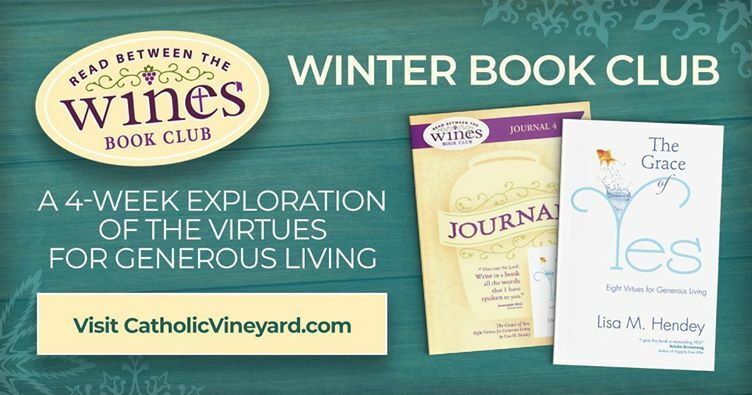 Learn more about: WINE Winter Book Club! I burst into laughter when I was asked to reflect upon Chapter 7 from The Grace of Yes. Although the chapters were randomly assigned, I knew God had His hand in this, and I also knew God was laughing right along with me! One such project was creating the environment at all three parishes in our parish cluster. This duty included decorating the churches for the liturgical seasons. The grace of that yes brought me to study the liturgy and develop an in-depth understanding of the signs and symbols we have in this beautiful faith of ours. When I first said “yes” to this project, I was teaching part time and had plenty of free time to devote to making the church a beautiful place to worship. I have never regretted that yes, because it allowed me to deepen my faith through learning about these symbols and being part of a leadership team that planned the liturgies. The boulder hit me as these thoughts of “me” kept circling in my head. My yes to this particular work was a yes for a season of my life. I had moved on to another season, but I was still clinging to the past. This conflict caused me to reflect on the why of my yes and my resistance to giving up this responsibility. Much of my yes to this work was rooted in my desire to please others, to be noticed, and to be looked upon as important. A little self reflection brought me to a place of knowing that, although I professed to do these things under the context of helping others enter into a deeper worship, I had to admit it was fueled by my own insecurities and pridefulness. The other lesson that I have learned in the grace of no is that my well-thought-out no opens a yes to other things. I heard a priest friend of mine explain his celibacy to a group of teenagers, when they asked him how he decided to become a priest and say “no” to a wife and children. His response was, “When a man says ‘yes’ to marriage that automatically means a ‘no’ to all other women in his life.” In that way, a yes becomes a no to other things, and a no becomes a yes to new possibilities. Having learned this lesson the hard way, I try to make it acceptable for others to choose “the grace of no” when asking for help with volunteer projects that I am coordinating. 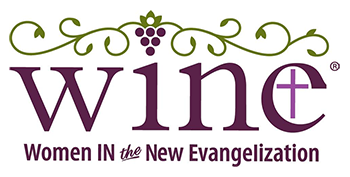 My work with WINE: Women in the New Evangelization has brought me into contact with some amazing women. Countless volunteers have stepped up to do the work that needs to be done to allow this ministry to flourish. We joke about being “voluntold,” when we are searching for someone to head up a project or take on a leadership role, but I try to circle back to them and remind them that it is perfectly OK to say “no.” Accepting nos graciously is easier when you have faith that God will provide. A quote I keep above my desk says, “God has given us, here and now, everything we need to complete His work.” This reminds me that it is not my job alone to do His work. If I can focus on the gifts He has given me to share, He provides others with their unique talents to do the same. 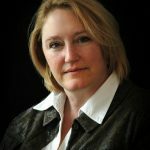 As my good friend Kelly Wahlquist often says, “We contribute to our own burnout when we do the work that others are called to do.” A well-discerned no may be just the opportunity for someone else’s yes! Review your volunteer commitments and reflect on your reasons for your involvement. Are some things only for a season but you still cling to them? Pray about the “why” of your yes for that commitment. Is it a self-giving or a self-serving reason? Ask the Holy Spirit to guide you to greater self-giving or to lead you to your new yes. Reflect on a well-thought-out “no” to some ministry or project you have responded to. Does this no lead you to be open to other yeses in your life? God gives us special charisms to do His work. What charisms do you possess that you may not be using? If you are unsure of the charisms you possess, consider exploring the Sienna Institute’s Called and Gifted program.